You are in Hanover privately or professionally, would like to visit one of the many fairs or spend your holidays here? You are looking for a spacious and comfortable accommodation? Then we would be pleased to welcome you as a guest in our new, 70 square meter apartment. The apartment is located on the ground floor of our 2010 newly built detached house in Sehnde-Rethmar (between Hildesheim and Hannover). It has a separate entrance and a separate terrace. Rethmar belongs to the city Sehnde and is located about 25 km southeast of the center of Hanover and about 23 km northeast of Hildesheim. It is about 20 km to the exhibition center in Hannover. We also speak English. You are in Hanover on business or for pleasure and looking for a more spacious accomodation than a hotel room? We would like to welcome you to our modern 700 sq. apartment in Sehnde (between Hanover and Hildesheim). The apartment is located on the first floor of our new home and has a separate entrance and patio. Rethmar belongs to the city of Sehnde and is located approx. 25 km southeast of the center of Hannover and approx. 23 km northeast of Hildesheim. The Hannover trade fair facilities are about 20 km away. For more information, just give us a call. Towels, bath towels and toilet paper are sufficiently available. Excellent accommodation. Beautiful surroundings. Friendly host . Would strongly recommend a stay here . We stayed 3 nights at this wonderful apartment in late July 2016. The apartment is in the same building as the host family's home but is completely separate and independent from the hosts. It has its own entrance and garden patio for privacy. Free car parking is available on the street in front of the property, which is located in a modern housing development near a small village just outside Schnde. There is a good supermarket and bakery in the village (about 10 minute walk). Schnde (about 5 minute drive) has larger supermarkets, cash machines, cheap fuel stations and a good Chinese Restaurant among other dining options. The apartment is spacious, modern, tastefully decorated and extremely well-equipped with high quality appliances as indicated in the property descriptions. It was spotlessly clean and very comfortable. Cordula, our host, has an excellent command of English as she has worked as a professional translator and lived for several years in the USA. She has thought of everything to assist independent English-speaking travellers including very well documented instructions for the appliances and local tourist information. She is also an excellent source of advice about local attractions and travel options. We used the apartment as our base for accessing the Harz mountains and the beautiful towns of Goslar and Quedlinburg, each about an hour drive away, as well as Brunswick about 30 minutes drive. 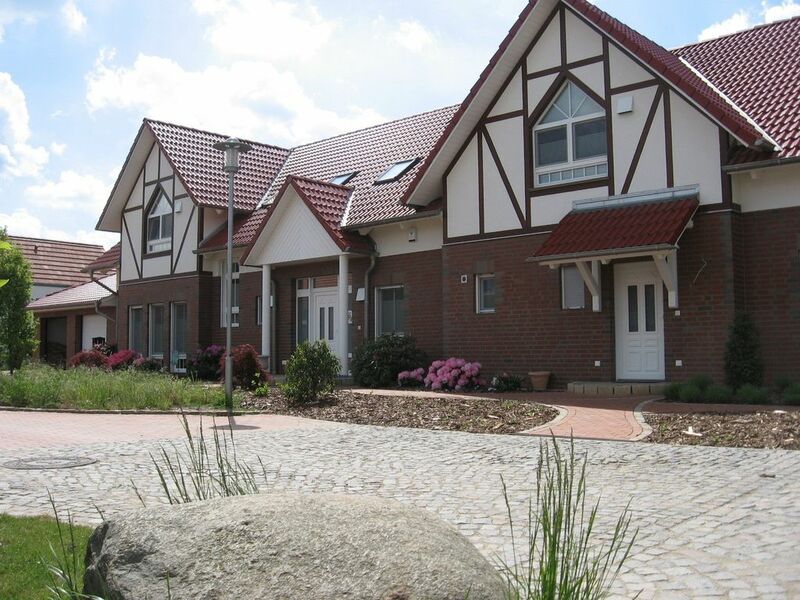 The apartment is also in a good location for travel to Hanover or Hamelin. We highly recommend this property for a very comfortable, quiet and relaxed stay in the area with very helpful and unobtrusive hosts. It was the best self-catering apartment we had used in over four months of travelling throughout the UK and central and eastern Europe. Thank you very much for your wonderful and detailed review. We enjoyed having you as our guests and are happy that you felt comfortable in the apartment. Thanks again for staying with us. Tolle Wohnung, sehr ruhig, geräumig, gut ausgestattet und sauber, man fühlt sich auch bei schlechtem Wetter darin wie zuhause. Die Vermieterin ist sehr nett und zuvorkomend, wir durften sogar schon früher anreisen - vielen Dank nochmals dafür! Die Wohnung ist super sauber, bestens ausgestattet und liegt in einer hübschen ruhigen Wohngegend. Sehr schönes Restaurant nur 3 Gehminuten entfernt. Prima Ausgangspunkt für Fahrten nach Hannover, Braunschweig, Wolfsburg .....Wir können die Wohnung uneingeschränkt weiterempfehlen ! Die Ferienwohnung war super toll von 5 Sternen vergeben wir 7*. Schöne Gegend, würden auf jeden Fall wieder kommen, sehr empfehlenswert. Möchten uns nochmal Herzlich bedanken. Herzlichen Dank für die tolle Bewertung. Wir freuen uns, dass es Ihnen bei uns gefallen hat, und würden uns über einen erneuten Besuch sehr freuen. Nice and quiet and still close to everything! During Fair time, it was a nice and clean accomodation for me and my collegaues. New and modern house, with plenty of Space. Nearby restaurant is very reccomendable. Within walking distance. Very kind and openhearted hosts. Die Preise gelten für die Belegung mit 2 Personen. Während der normalen Zeiten zahlt jede weitere Person 17,00 Euro/Nacht bzw. 19,00 Euro/Nacht ab 01.01.2019. Während der Messezeiten zahlt jede weitere Person 34,00 Euro/Nacht bzw. 38,00 Euro/Nacht ab 01.01.2019. Mitreisende Kinder zwischen 4 und 12 Jahren zahlen je 11,00 Euro/Nacht bzw. 12,00 Euro/Nacht ab 01.01.2019. Kinder bis 3 Jahre sind kostenfrei. Mehrwertsteuer ist im Preis inbegriffen.